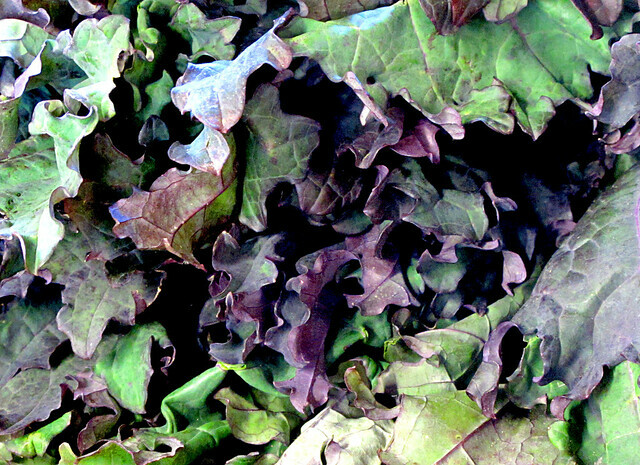 Halifax Seaport Farmers Market: Kale is in Season! Wondering what to do with kale? Here is a popular recipe served up at Norbert's Good Food at Selwood Green. 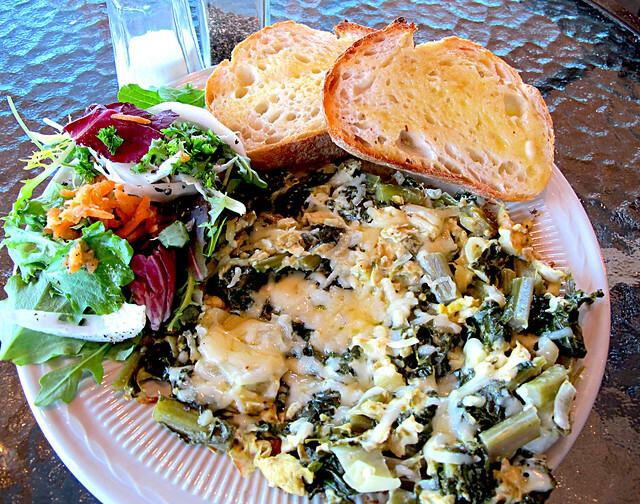 Kale Scramble! The taste is delicious! and good for you too! 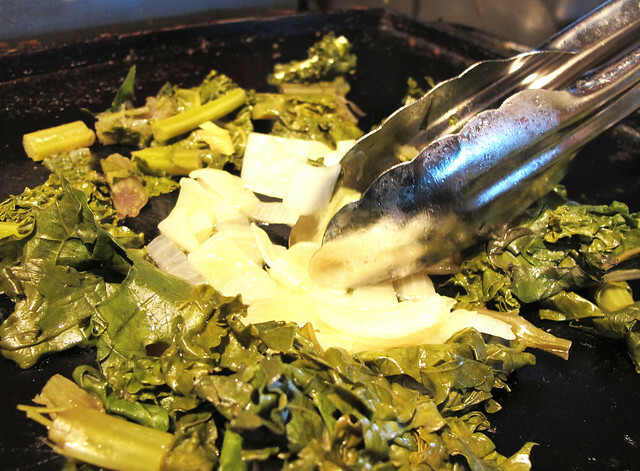 Chop up some kale, any kind is fine, about a large handful per person and steam it until soft. About five to ten minutes. 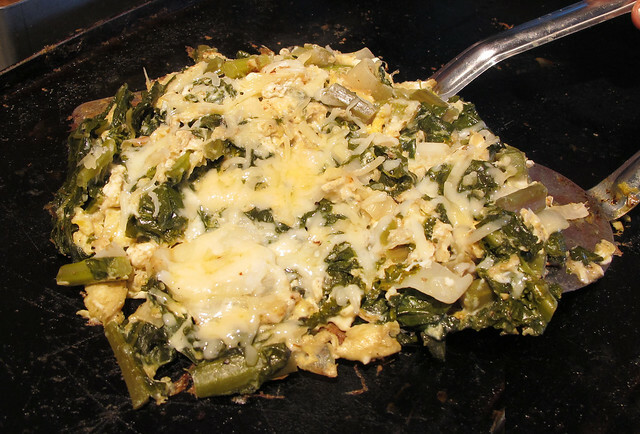 Use a tiny bit of oil in a nonstick pan or griddle and saute about half a chopped onion per person. Put the kale in and form a ring around the onion. 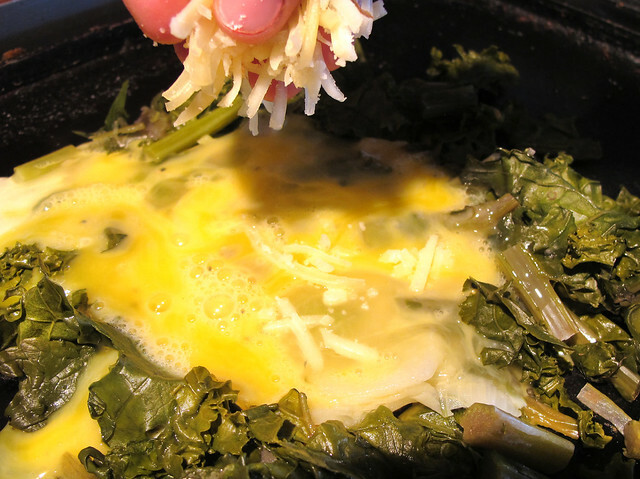 Next, beat two eggs, add some salt and pepper and pour into the center of the kale ring. Next you add some grated cheese, Norbert uses Gouda, but any kind will do and as much as you like. 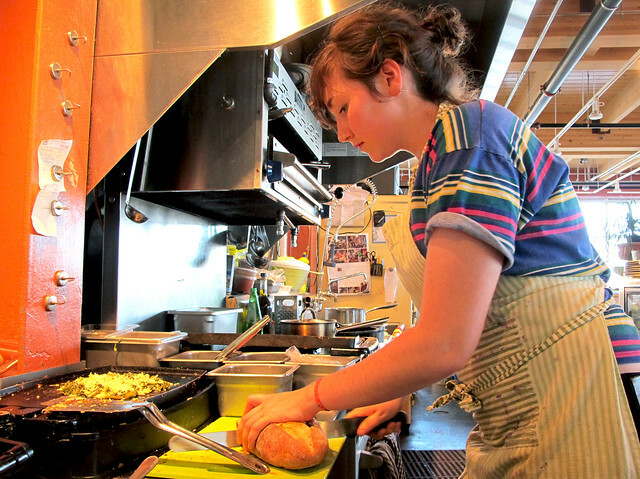 Take two spatulas and start flipping and agitating the scramble to help it mix through and cook the egg. 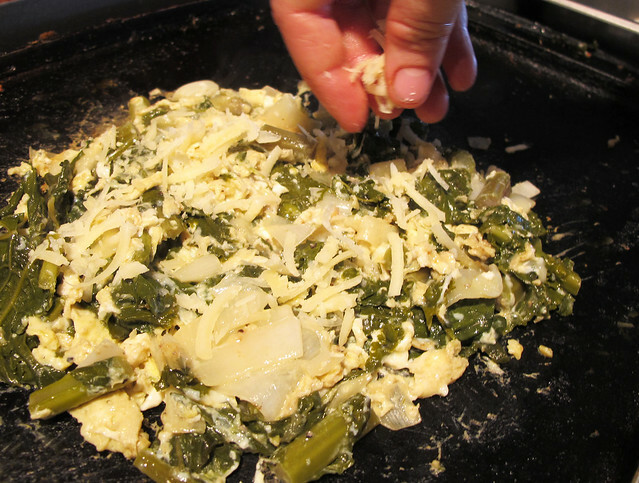 Form it into a round, sprinkle some more cheese on top and let it sit and finish cooking. the egg must be white and the cheese melted. While you are waiting for it to finish cooking, slice some bread and pop it into the toaster. Hannah is doing a great job:). 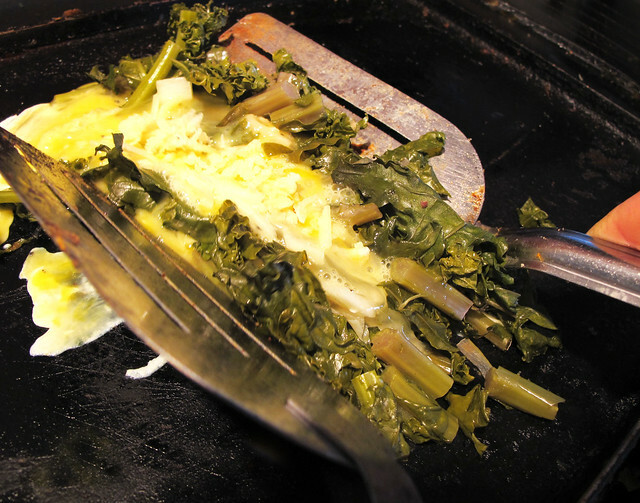 Gently lift it off the griddle and on to a plate. 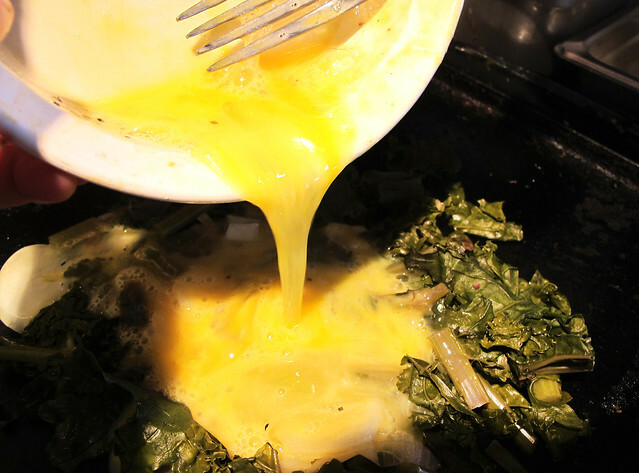 Want more recipes for kale? Look here.